When working with wall insulation, there are a number of options that people may take. One of the options is by ripping the walls down and they would start from scratch. On the other hand, they may drill big holes and install standard products, such as blown fiberglass or cellulose. However, for specific reasons, these options may not be the most attractive, visually. It is better to choose the most cost effective and less intrusive options. The goal is to properly insulate the crawl spaces and attic. Insulation may also be improved when homeowners install new windows or perform weatherization projects. Proper insulation could help to reduce the overall energy costs. Without proper insulation, it is quite likely that the weatherization project won’t deliver the desired effects. Available options for insulating the wall can give many homeowners a pause. It would be messy and time consuming to rip down the plaster and drywall to obtain access to stud cavities. This method can also be quite messy, because we would need to purchase new drywall and hire labors to install it. The big cleaning task can also be quite significant and the project can be extended for a few days just for cleaning up the mess. Depending on the size of the house, this could mean extra amount of money spent. For homeowners who want to insulate the walls, this is something that they haven’t signed up for. Cellulose and fiberglass are useful for insulating the space between the walls. However, we should know that these materials are not actually air barriers and it means that unconditioned air will still be allowed to get through. Also, the insulating value of a material could be null when it gets wet. Wet cellulose and fiberglass could cause the growth of mildew and mold in the wall. This could happen due to water damage and roof leak. Humid air may also cause condensation inside the wall and moisture could accumulate. When it happens, we may set ourselves up for a much bigger problem. When improperly set up, fiberglass and cellulose may not reach all the crevices, as well nook and crannies. This could leave some areas of the wall improperly insulated. Also, insulating material could change positions over time, causing gaps and reducing the insulation performance. It means that it would be pointless to drill large holes and rip down the walls, if the insulation performance degrades so much in the long run. For this reason, we should use better materials, such as injectable foam. The foam could slightly expand and insulate many parts of the wall. 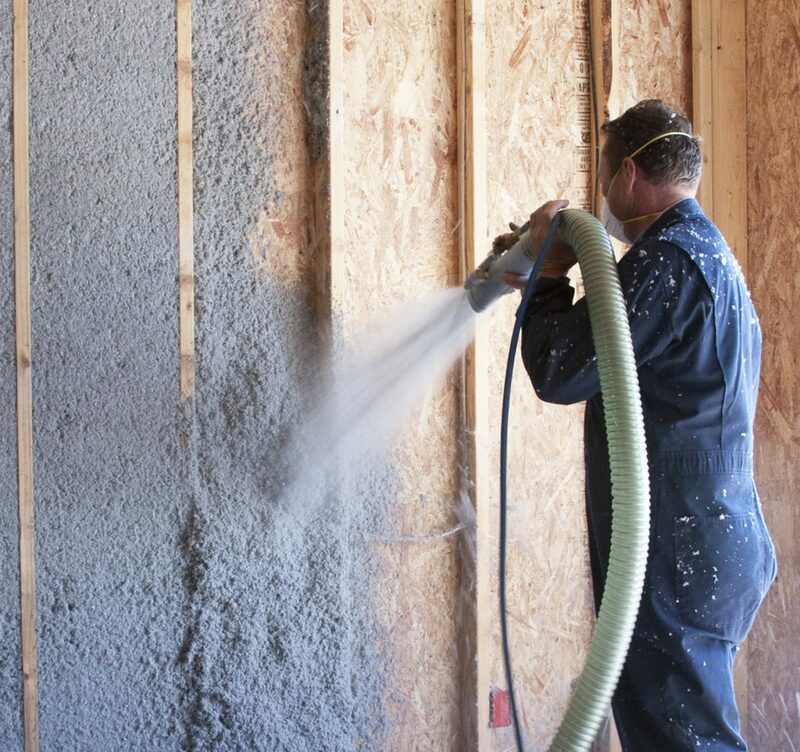 Injectable foam can be installed from outside or inside of the house. When choosing injectable foam, we should choose the right model. It should be a more appropriate way than ripping the wall. Injectable foam should be able to offer plenty of benefits, specifically above and beyond what typical cellulose and fiberglass materials can do. This be should be a good thing if winter is coming and we find that the insulation factor on some areas of our house don’t work properly.